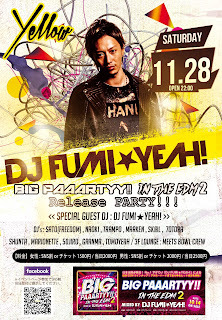 11.28 -SAT- "DJ FUMI★YEAH! "BIG PAAARTYY! !-IN THE EDM2-Release PARTY!!! Presented by Yellow"